Lucas, James. The Third Reich. Experiences of War. London. Arms and Armour. 1990. Octavo. Hard cover. First edition. Illustrated. Fine copy (owner blind stamp) in fine dust jacket (in mylar). Lucas, James. 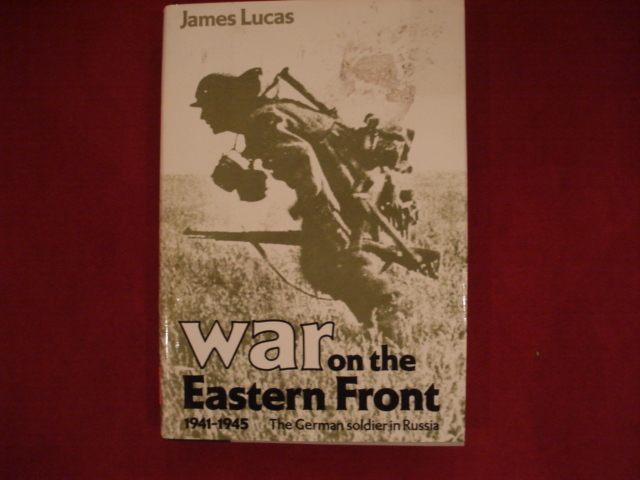 War on the Eastern Front. 1941-1945. The German Soldier in Russia. London. Jane's. 1986. Octavo. Hard cover. First edition. Illustrated. Fine copy (owner blind stamp) in fine dust jacket (in mylar). Lucas, James. World War Two through German Eyes. London. Arms and Armour. 1989. Octavo. Hard cover. Reprint. Illustrated. Fine copy (owner blind stamp) in fine dust jacket (in mylar). Lucier, James. The Political Writings of James Monroe. Conservative Leadership Series. Washington. Regnery. 2001. Octavo. Hard cover. First edition. Fine copy (owner blind stamp) in fine dust jacket (in mylar). Lumsden, Robin. SS Regalia. Edison. Chartwell. 1997. 4to. Hard cover. Reprint. Illustrated in black, white and color. Fine copy (owner blind stamp) in fine dust jacket (in mylar). Lumsden, Robin. SS. Himmler's Black Order. 1923-45. Phoenix Mills. Sutton. 1997. 4to. Hard cover. First edition. Illustrated. Fine copy (owner blind stamp) in fine dust jacket (in mylar). Lundeberg, Philip. Samuel Colt's Submarine Battery. The Secret and the Enigma. Washington. Smithsonian. 1974. 90 pps. 4to. Soft cover. First edition. Illustrated. Fine copy. Lundstrom, John B. The First Team. Pacific Naval Air Combat from Pearl Harbor to Midway. Photo available. Annapolis. Naval Institute Press. 1990. 547 pps. 4to. Soft cover. Revised edition. Illustrated. Important reference work. Fine copy. Lurie, Leonard. Party Politics. Why We Have Poor Presidents. New York. Stein and Day. 1980. 325 pps. Octavo. Hardcover. First edition. Fine copy in near fine dust jacket (in mylar). Luvaas, Jay (ed). The U.S. Army War College Guide to the Battles of Chancellorsville, Fredericksburg. Carlisle. South Mountain Press. 1998. Octavo. Hard cover. First edition. Illustrated. Fine (book plate) copy in fine dust jacket (in mylar). Lynch, Chistopher. 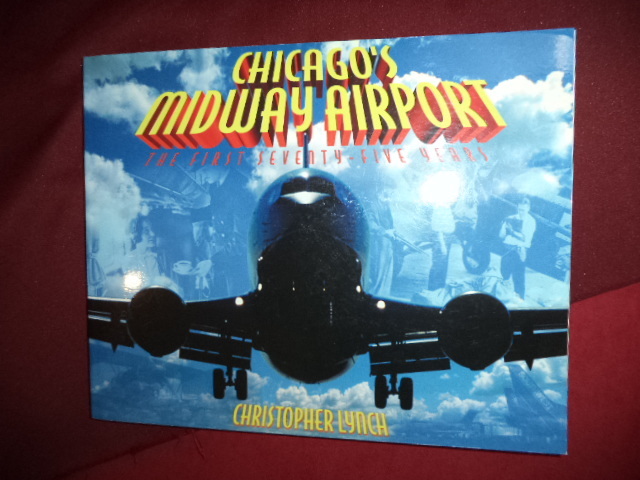 Chicago's Midway Airport. The First Seventy-Five Years. Photo available. Chicago. Lake Claremont Press. 2003. 206 pps. 4to. Soft cover. First edition. Full number line. Illustrated. Important reference work. Fine copy. Lyon, Peter. Eisenhower. Portrait of the Hero. Boston. Little, Brown and Company. 1974. 989 pps. Octavo. Hardcover. Reprint. Illustrated. Fine copy in near fine dust jacket (in mylar). Lyons, Mary E. Dear Ellen Bee. 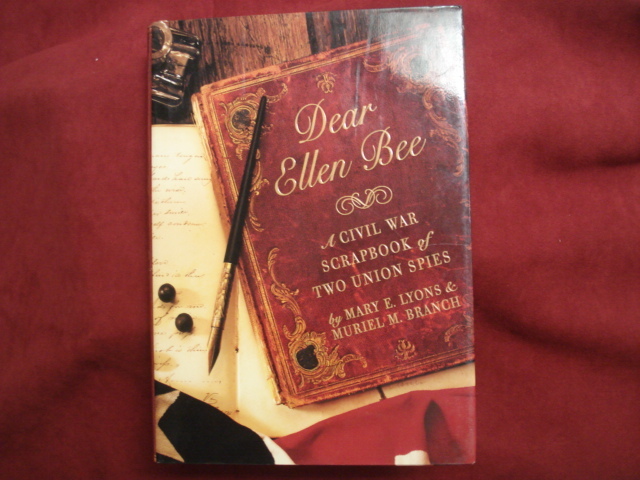 A Civil War Scrapbook of Two Union Spies. Photo available. New York. Atheneum. 2000. Octavo. Hard cover. First edition. Illustrated. Fine copy in fine dust jacket (in mylar). Maass, Peter. Love Thy Neighbor. A Story of War. New York. Alfred A. Knopf. 1996. 305 pps. Octavo. Hardcover. First edition. Fine copy in near fine dust jacket (in mylar). Maass, Peter. Love Thy Neighbor. A Story of War. New York. Alfred A. Knopf. 1996. 305 pps. Octavo. Hardcover. First edition. Map. Fine copy in near fine dust jacket (in mylar). MacDonald, Callum. The Killing of SS Obergruppenfuhrer Reinhard Heydrich. New York. Free Press. 1989. 240 pps. Octavo. Hardcover. Reprint. Illustrated. Fine copy in fine dust jacket (in mylar). 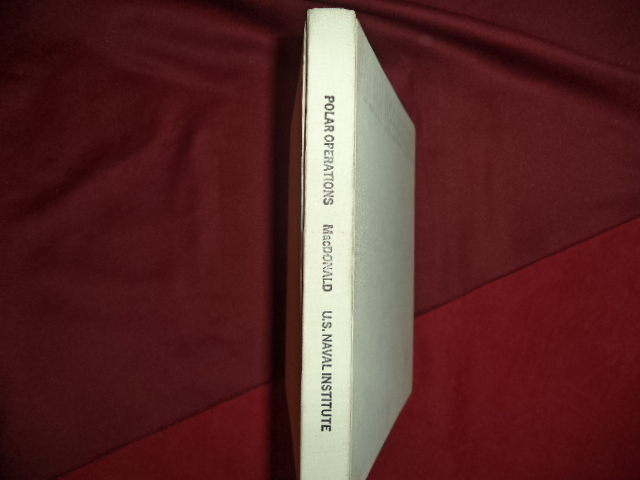 MacDonald, Edwin A. Polar Operations. Photo available. Annapolis. Naval Institute Press. 1969. 243 pps. 4to. Hardcover. First edition. Illustrated. Important reference work. Fine copy. MacDonald, John. Great Battlefields of the World. Photo available. New York. Macmillan. 1984. 4to. Hardcover. First edition. Illustrated in black, white and color. Introduction by Len Deighton. Foreword by General Sir John Hackett. Fine copy in fine dust jacket (in mylar). MacDonald, John. Great Battlefields of the World. Stunning 3-Dimensional Graphics Recreate the Greatest Battles and Battlefields of All Time. Secaucus. Chartwell. 2002. 4to. Hard cover. Illustrated in black, white and color. Fine copy in fine dust jacket (in mylar). MacDonald, John. Great Battles of World War II. Stunning 3-Dimensional Computer Graphics Re-Create the Most Important Battles of World War II, From Europe to the Pacific. Philadelphia. Courage. 1993. 4to. Hard cover. First edition. Illustrated in black, white and color. Folding plates. Fine copy in very good (closed tear on front panel) dust jacket (in mylar). Macintyre, Donald. Man of War. A History of the Combat Vessel. New York. Castle. 1969. 4to. Hard cover. Revised edition. Illustrated in black, white and color. Fine copy in edge chipped dust jacket (in mylar). MacKenzie, Norman. The Escape from Elba. The Fall & Flight of Napoleon. 1814-1815. New York. Oxford University Press. 1982. Octavo. Hard cover. First edition. Illustrated. Fine copy (owner blind stamp) in fine dust jacket (in mylar). Mackesey, Kenneth. Kesselring. The Making of the Luftwaffe. New York. David McKay. 1978. Octavo. Hard cover. Reprint. Illustrated. Fine copy (owner blind stamp, name) in fine dust jacket (in mylar).